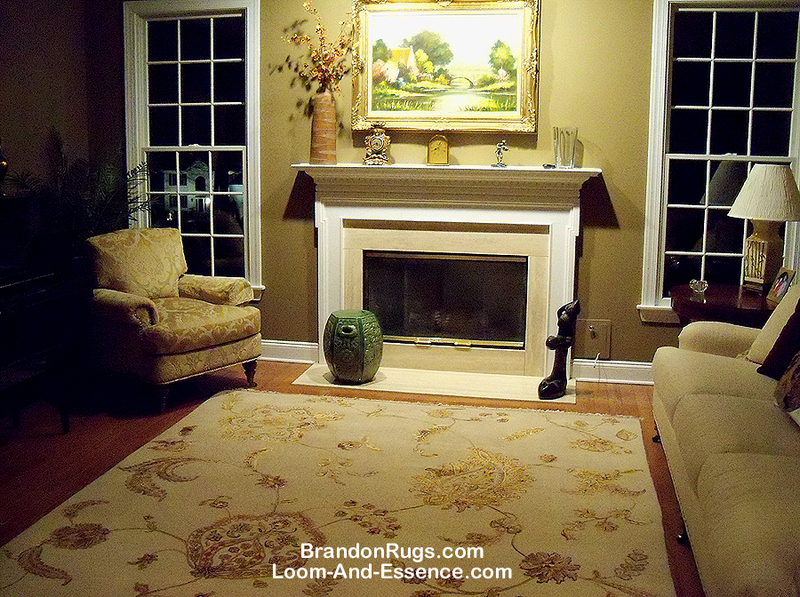 The living room in this picture was "in development" for some time, as our customer introduced new elements to complete it. 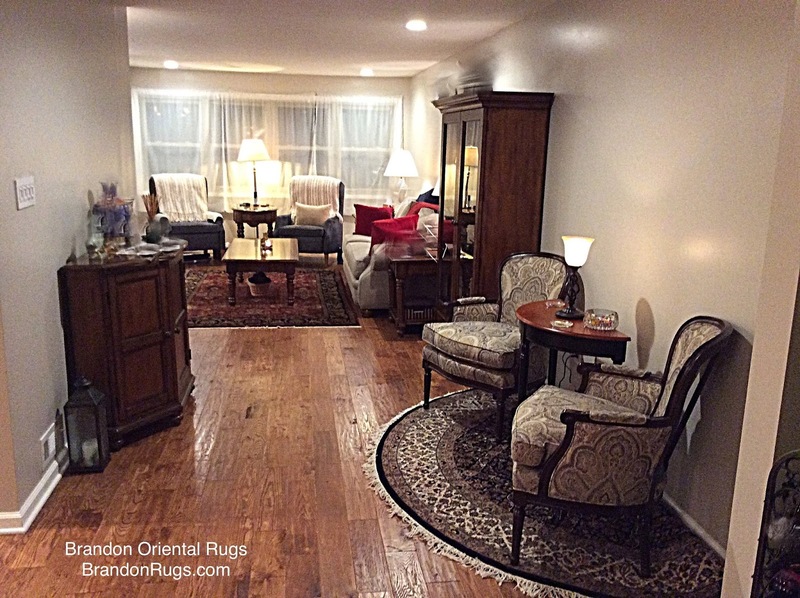 Following a master plan of standards kept in her head, she made appropriate additions to the room; culminating in the purchase of the handmade oriental rug from Bucks County rug store Brandon Oriental Rugs. 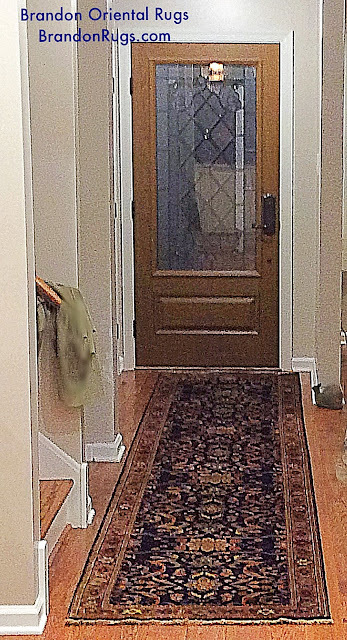 Consider the many choices made and the ensuing paths taken which arrived at this "picture". This can't be achieved in reaction to fads. This happens by planning and design. 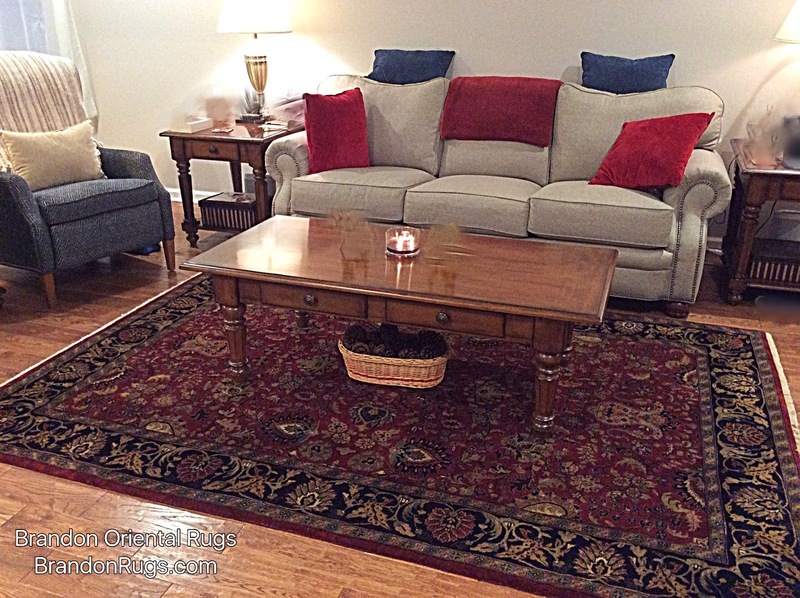 Our customer knew the look of her "ideal". 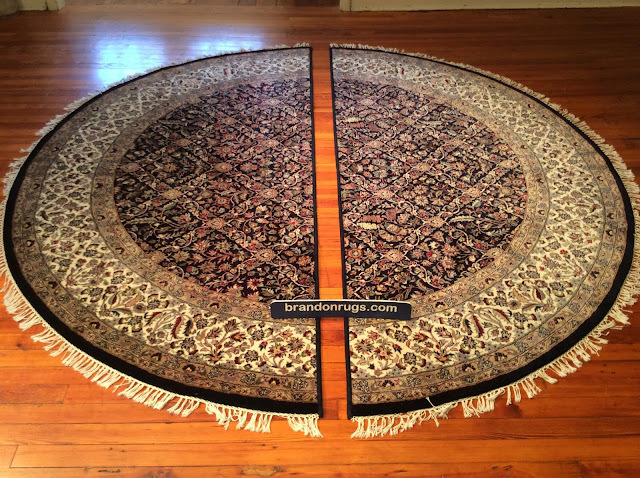 This rug helps her fulfill that vision. Brandon Oriental Rugs reveres the truth our customers pursue to have their living spaces reflect their tastes. We are honored to help realize such inspired goals. 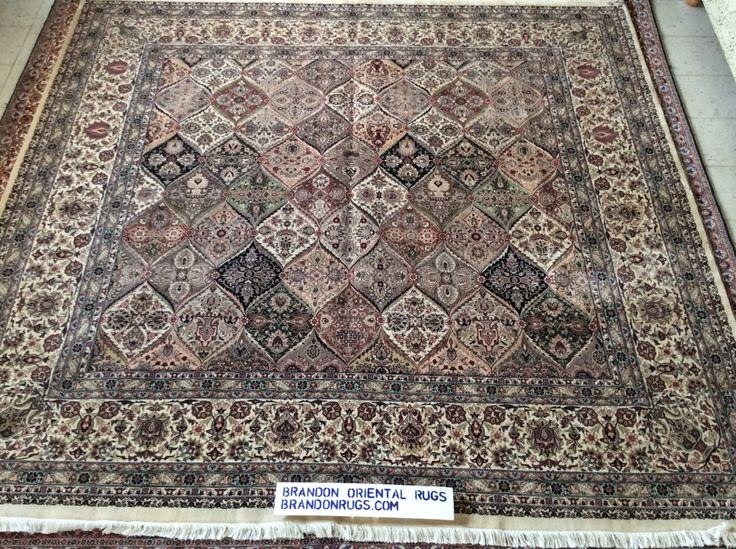 Brandon Oriental Rugs serves a large region, including Bucks County and surrounding counties in Pennsylvania and New Jersey. If you have a special rug need, or would like to begin exploring what real handmade rugs offer for the improvements you want to make in your home, we're at your assistance. 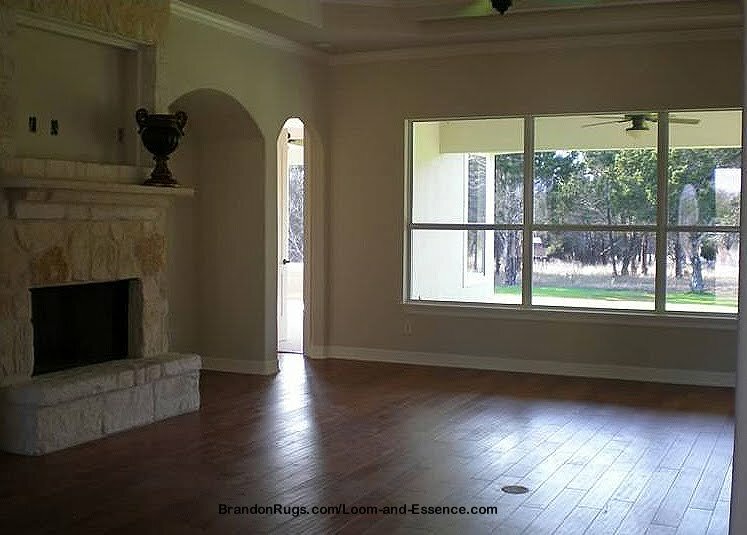 An Elegant and Luxurious Lifestyle Can Be Proclaimed On the Outside, But Is Truly Lived On the Inside. from what is seen on the outside." 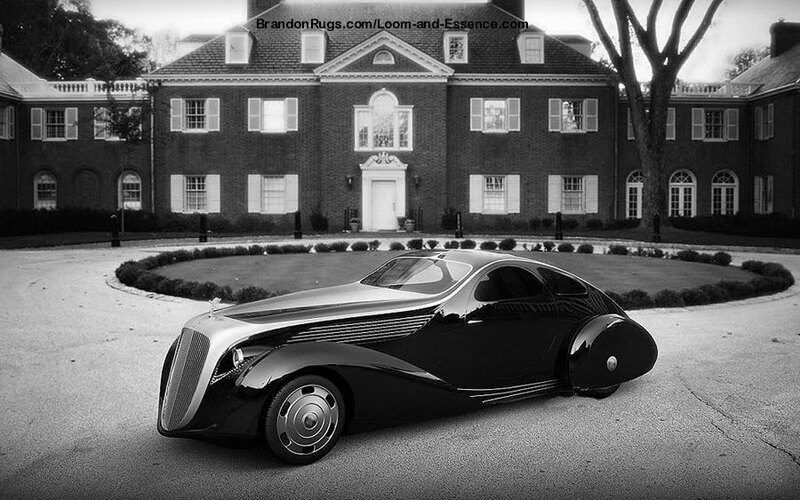 This house and automobile belong to Prescott. 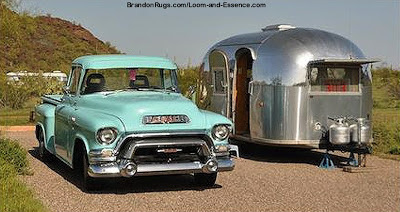 of the home above are seen in the images below. Prescott has lived here three and a half years. 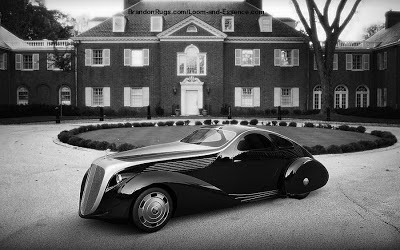 The house and vehicle seen below belong to Bob. decorate the living room of his humble home. he can see and be with the beautiful things in his life. How to Help Customers Effectively. There are many answers. Some take humanity into account. "...great strategy to ensure your message resonates with your target audience. To expand on that, it's super important to know who your buyer personas (target audience) are, and where they reside online--and offline--in order to effectively reach, communicate and engage with them to drive a call to action. Do you have a marketing communications plan in place? It's also critical to have definitive and measurable marketing goals and objectives--and part of that circles back up to knowing who and where your buyers are...and through which channels you will reach them." It sounds like a lot of dehumanizing gibberish with "relationships" based upon success in behavioral conditioning of "target audiences" to properly respond to buzzword calls to action -- to adopt the parlance..
One of my heroes in the Bible is Nathaniel, said by the Lord to be an Israelite "in whom there is no guile." "NO GUILE": that's the best character trait for building honest relationships and truly having a heart to help customers. I doubt any human being could pass "The Turing Test" by actively engaging in trying to evaluate "buyer personas...and where they reside...in order to...drive a call to action...and through which channels you will reach them." The next person through the doors of my store (just like all of those before and all of those yet to come) will get a "Howdy. Thanks for stopping by. Feel free to look around as much as you like. 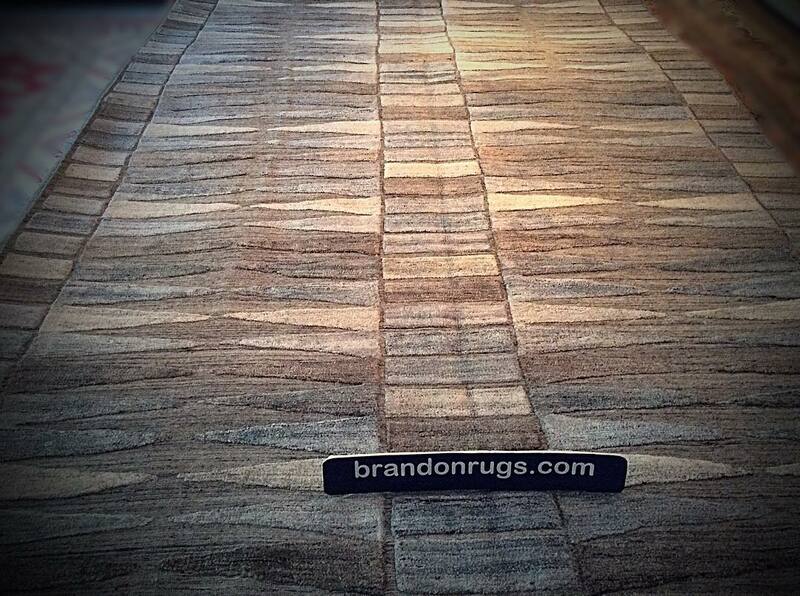 If you have questions, or need help with anything, I'm here to help in every way I can." God forbid I should ever become a creature or machine who spends a moment trying to assess the "buyer persona" of the people I meet. 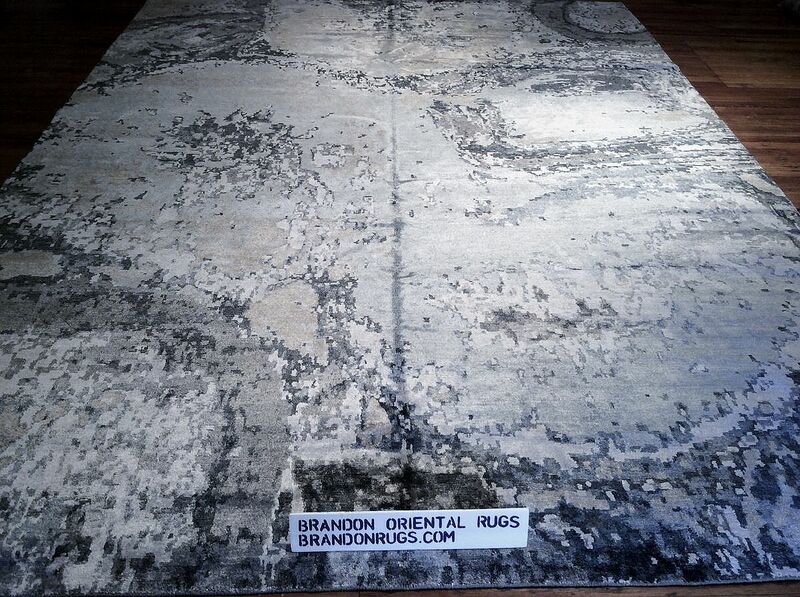 Bucks County, PA specialty rug store, Brandon Oriental Rugs, is making an effort to go outside its tried-and-true comfort zone by bringing more nontraditional handwoven rugs into the store. 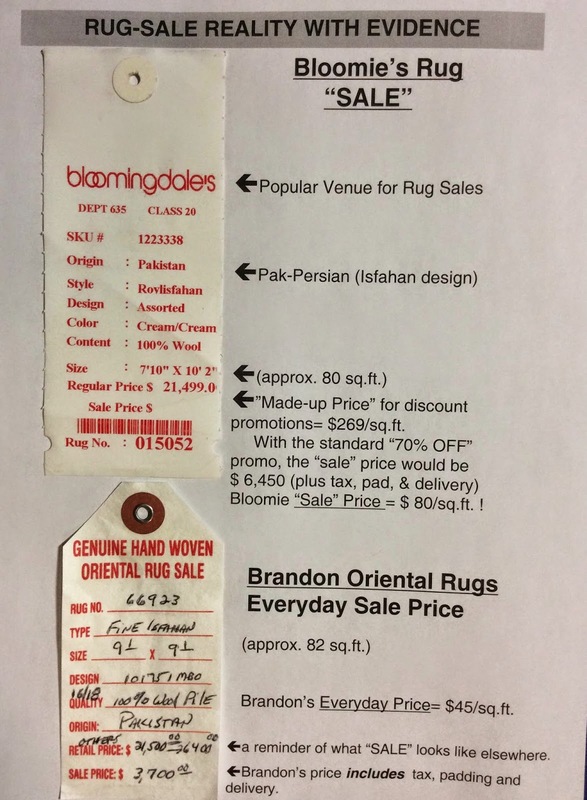 The "Shock Of The New" is actually a pleasurable experience when it is discerned that -- while the designs are not traditional -- the materials and workmanship found in these rugs are still dependably excellent. 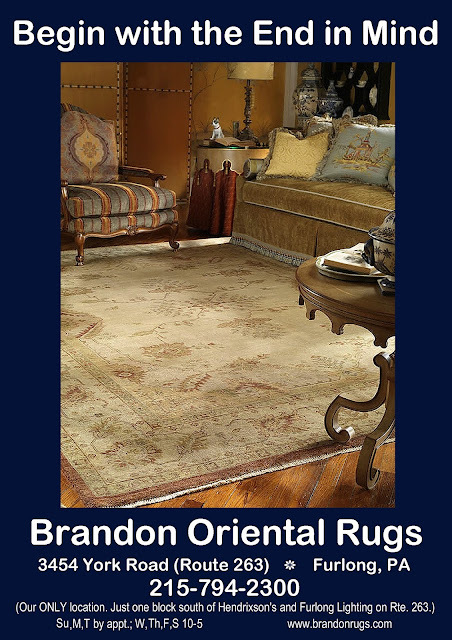 Whether your decorating style is traditional, transitional, or avant-garde, with our dedication to service Brandon Oriental Rugs looks forward to helping you explore all of the possibilities for fully realizing your decorating goals with quality handmade rugs. 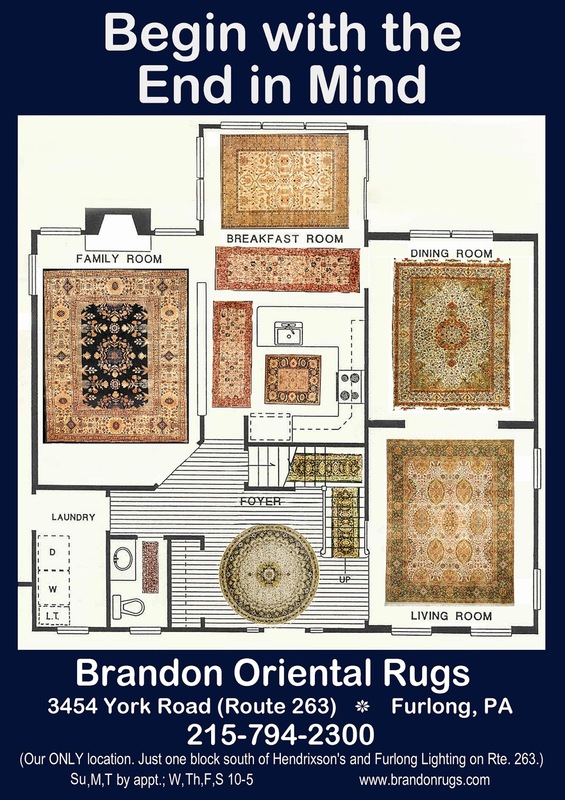 Bucks County, PA specialty rug store Brandon Oriental Rugs was honored recently to receive an invitation to help complete a lovely home built in Warrington, PA by homeowners with a great sense of interior design, and a developed taste for quality. 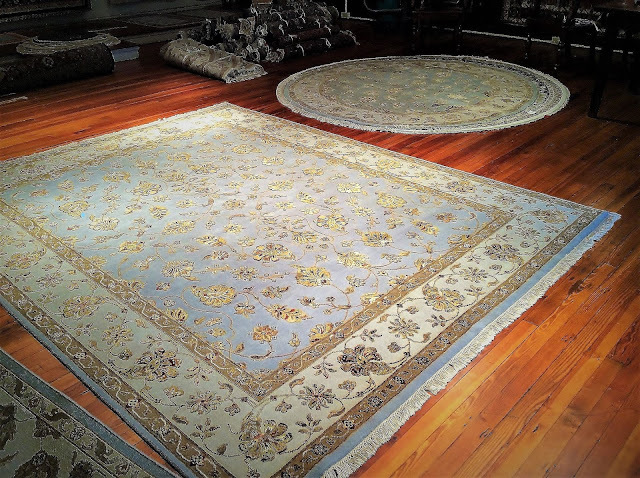 7x7 Hand-knotted Silk Flower oriental rug selected to complete living room designed and built by the homeowners. They are also savvy shoppers. 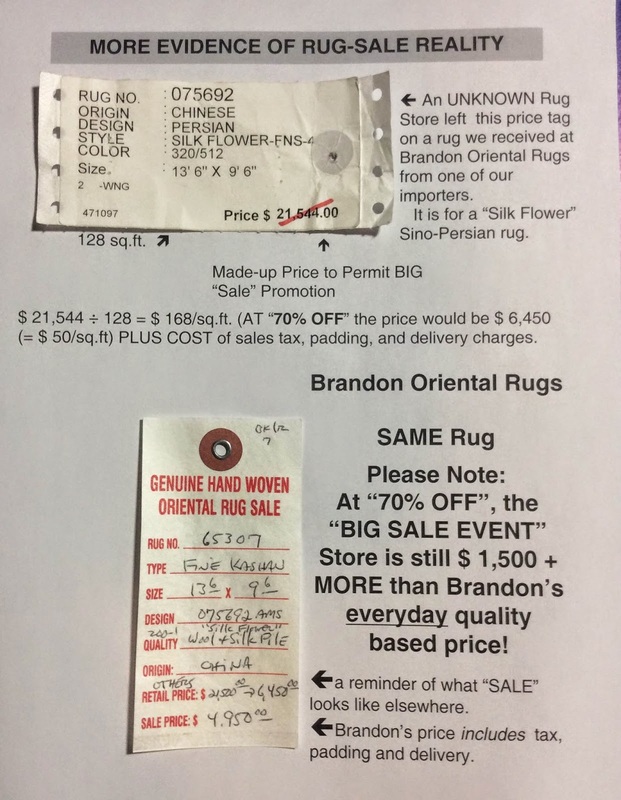 Throughout the search and presentation process they presented Brandon with competitive challenges; remaining actively engaged in seeking the best value rugs for their home. Based upon our ability early in the search process to assess their size and style requirements, we were successful in the end in earning their confidence with our service, and with the lovely handmade Silk Flower rugs found for their living room and dining room. 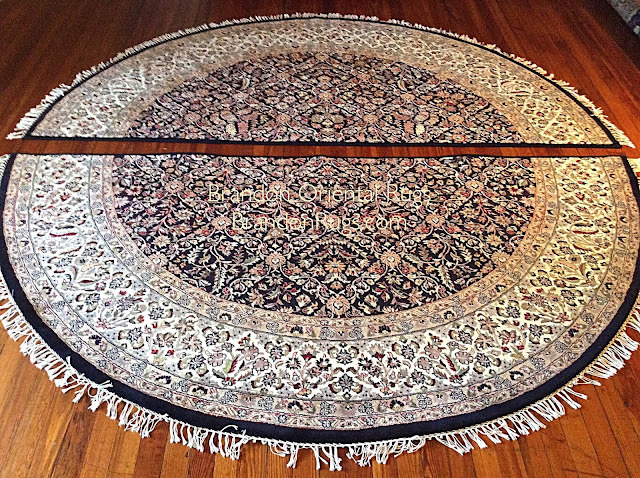 8x10 Hand-knotted Silk Flower oriental rug selected to complete dining room designed and built by homeowners. 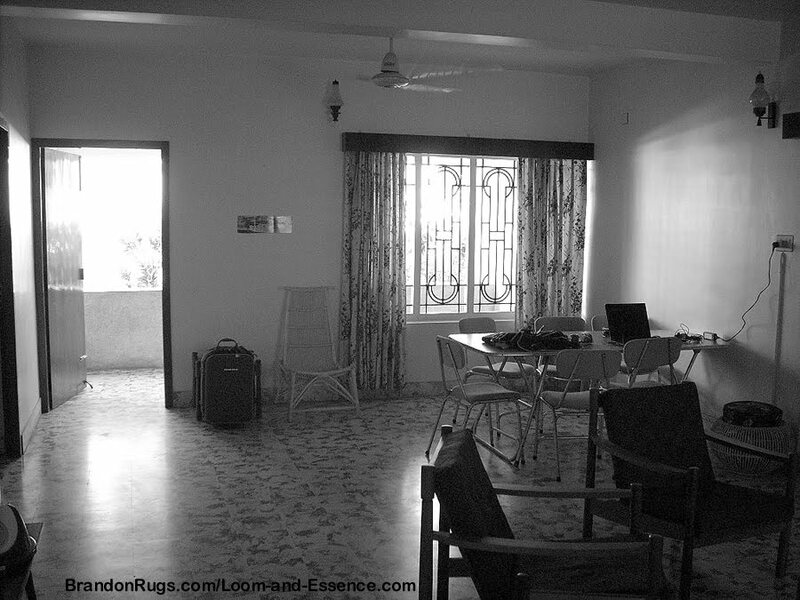 When the pieces of a puzzle fit together properly, it's easy to assemble them and achieve the proper solution. 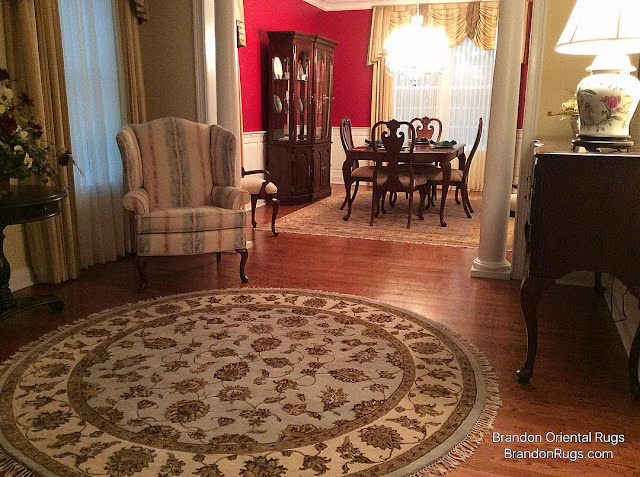 The high quality standards of the homeowners, together with their patient, deliberate, orderly process for evaluating their choices allowed us to help them assemble a finished picture that is undeniably lovely. "There is no new thing under the sun..." "Everything is a copy of a copy of a copy." 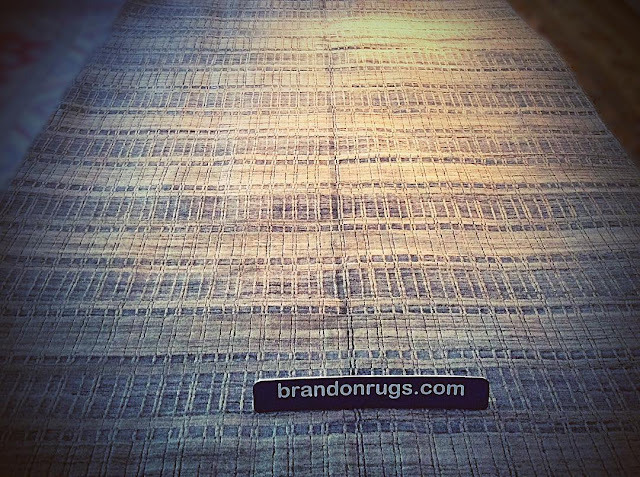 "Fashion moves forward by looking back." 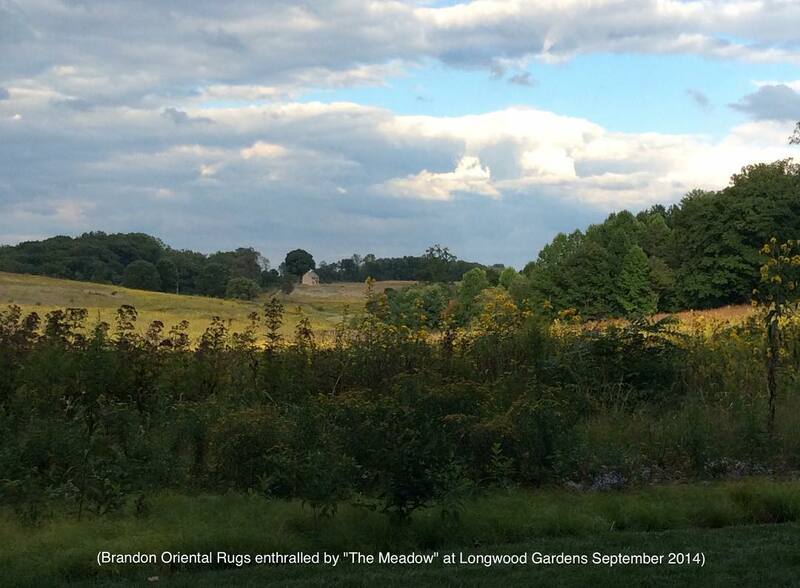 "...no new thing under the sun..."
It's a misnomer to call fashion "New!" that is clearly inspired by centuries old textile design -- in this case a Persian handmade oriental rug design. 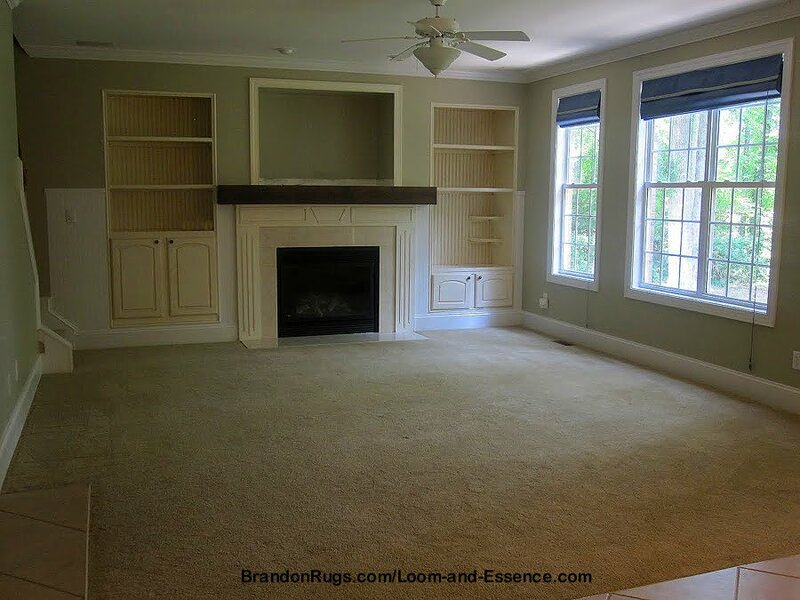 Want your home to really have a fashionable new look ? 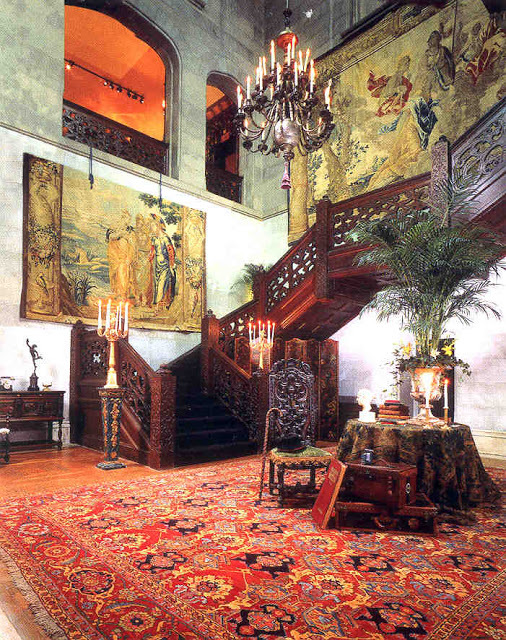 Try the solution that has NEVER gone out-of-style: REAL oriental rugs. On their first day in the newly renovated living-room of their centuries old Bucks County, PA farmhouse, the homeowners selected this handmade, antique reproduction Persian Bakhshaish oriental rug from Brandon Oriental Rugs to grace the floors for all the days ahead in their wonderful new home. 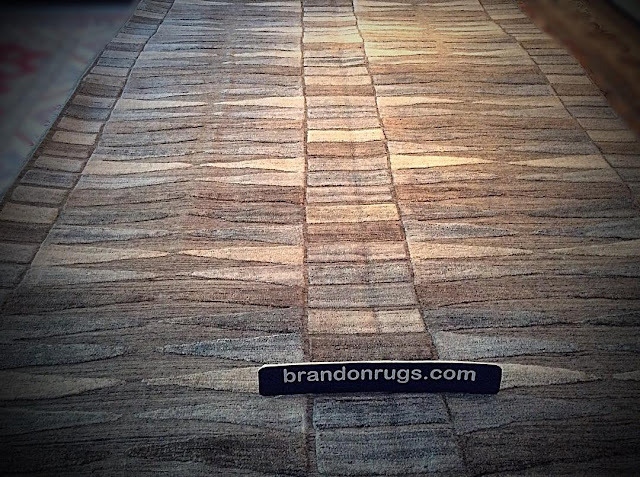 pretty good already; but became just the first of many steps in a major home makeover. 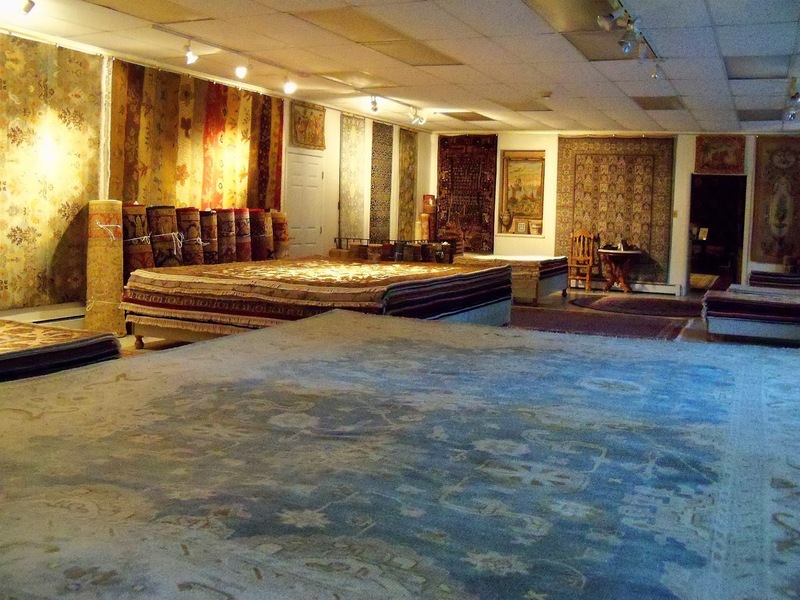 Homeowners from Bucks County, referred to us by an interior designer, have advanced from the early stages of refurnishing their living room. 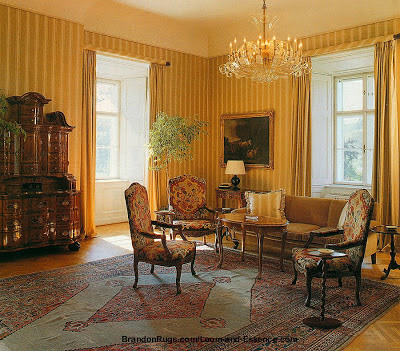 Their old sofa seen above has since been removed. The handmade oriental rug they selected from Bucks County, PA rug store Brandon Oriental Rugs as one of the first steps in the room makeover enabled them subsequently to make decisions at a relaxed pace to advance their plans. 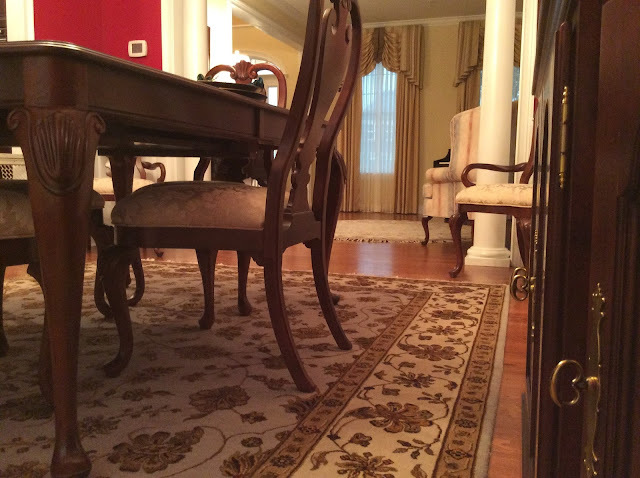 The room was made comfortable, intimate and beautiful by their decision to introduce the traditional rug. 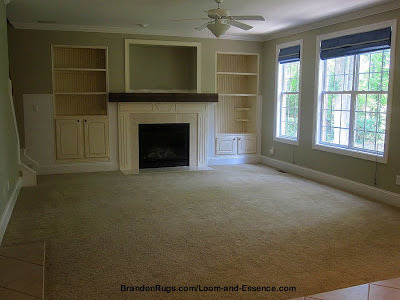 Had they done no more, they could have been proud of their room as seen above. 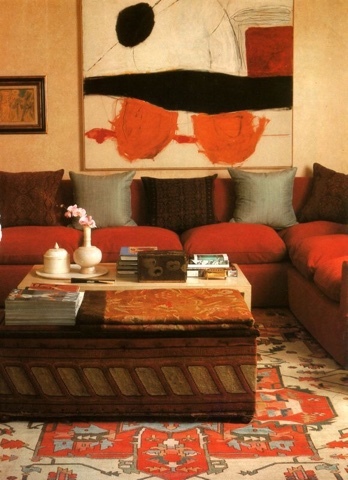 But the rug inspired them with new ideas to update the living room: their main living space and site of so much that is important in the life of their family. 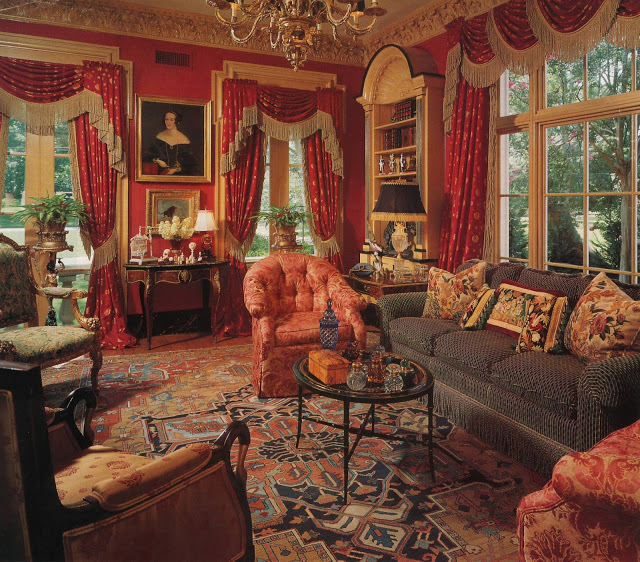 The images below show how things have rapidly advanced with the home's interior design. A new sofa, and some additional handmade rugs from Brandon have brought a fresh elegance to the expanded living room and adjacent spaces. hand-knotted oriental rug from Brandon Oriental Rugs that helped begin the makeover. 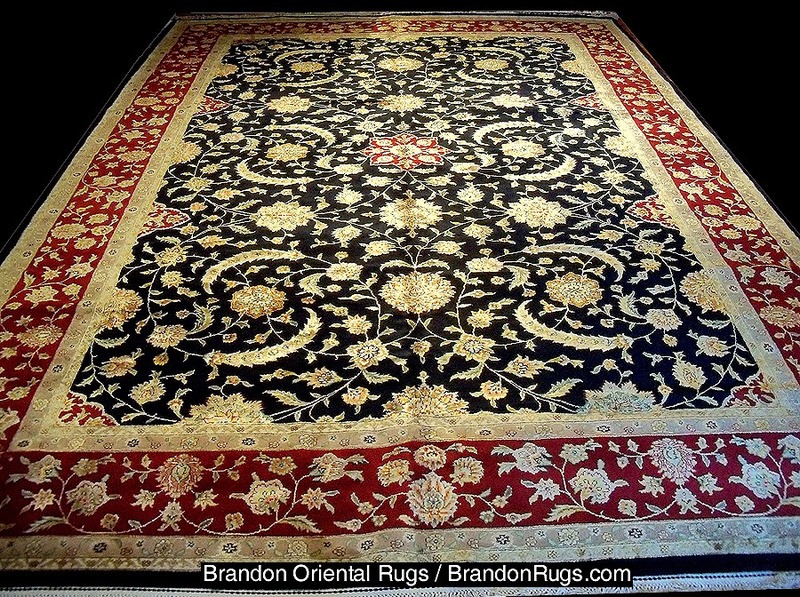 hand-knotted custom order/ custom made half-rug from Brandon Oriental Rugs. 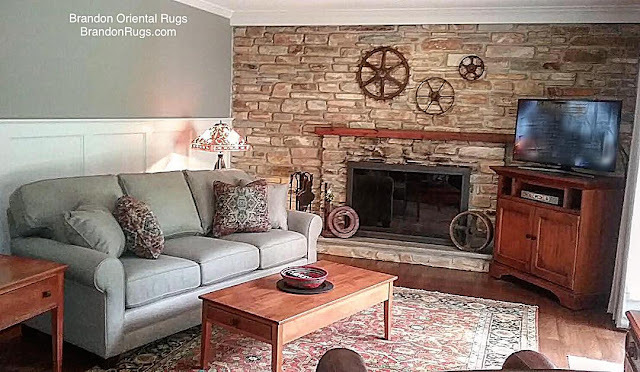 Huntingdon Valley homeowners spent many months completing the preparatory work and gathering all of the pieces for the renovation and redecorating of their their intimate family room on display here. 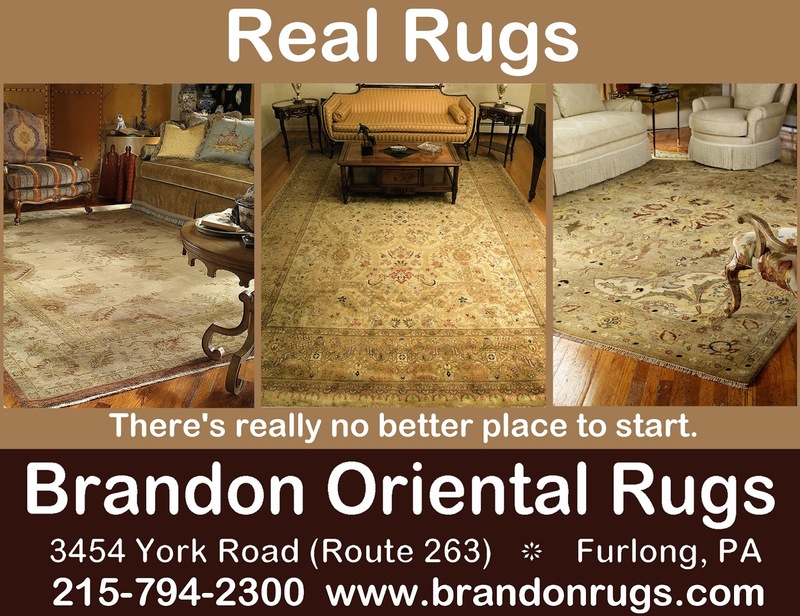 Obviously, the REAL, handmade, oriental rug which they found at Bucks County, PA rug store Brandon Oriental Rugs -- a fine antique reproduction Persian Serapi design -- has been given a major supporting role in the room.